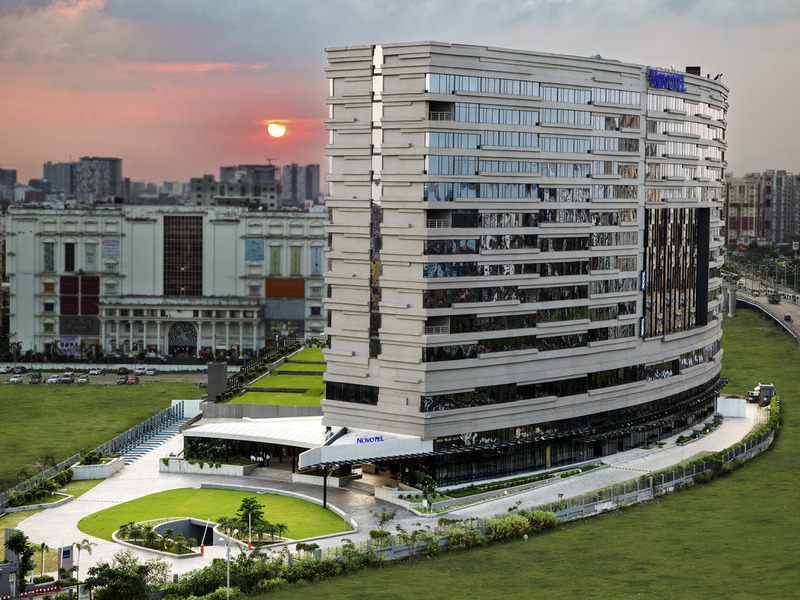 Novotel Kolkata Hotel and Residences is located in the SMARTcity of New Town, Rajarhat beside Axis Mall, and is close to the DLF IT Park, Unitech, Ecospace and several other commercial complexes. The location of the hotel offers the perfect base for business as well as leisure tourists and is close to Salt Lake, Sector V, City Centres I and II, a Wax Museum, Rabindra Tirtha and Nazrul Tirtha cultural centers, Eco Park, the neighboring multiplex and several jogging trails. The GE Appreciation Day/ Week was a nice surprise. Getting upgraded to the Suite was even better and to see the chocolate including the GE and Novotel logos all made from chocolate was just delightful. It was guest delight all the way. Please do thank the person behind this idea and also the person who painstakingly created the chocolates. Thank you. We had a very enjoyable stay. Almost everything was upto our expectations. It would be nice if you could have a few rooms without carpets to offer a choice for those with allergy etc. It was a Very Bad experience at the time of Check in. They didn't welcomed us properly. We requested to provide the rooms for all my female colleague in the same floor and next door as well. it was not provided. Their was no dressing table in the room and not many drawers to keep our daily use-able products. Their was no access for us to reach other floor. Every time to meet my friends i had to call them near lobby. Not a Happy Customer. Overall Good .Staffs are extremely helpful. We liked the room very much but the buffet dinner and breakfast was not good. nice and comfortable stay . helpful staff (both front desk and restaurant). Variety of delicious food. Over all fantastic stay. Very good.. hospitality was excellent..felt like a wonderful holiday.. The stay was good. But the pre-authorization taken supposed to be released but even after 2 weeks it is not done. Very good rooms and the breakfast buffet was superb. Overall experience was excellent. Please change the shaving razor quality is very bad. This is told many times. Why your team copy the card number inspite of you receive the amount for stay. Which rule permits hotel to do so? Stayed for two nights and it was very much comfortable. Very comfortable stay due to courteous staff and good ambience.